The American Civil Liberties Union of Oklahoma is proud to announce the revitalization of the ACLU of Oklahoma Anti-Death Penalty Project. This project has been dormant for the past decade and members of this affiliate are very excited to be back on the front lines fighting for an end to this unconstitutional practice. The purpose of the Project is to provide the people of Oklahoma with a resource dedicated to the abolition of the death penalty through continuing public education, lobbying efforts and litigation. The Project will assume a proactive posture in the struggle to abolish the death penalty in our state, and will accomplish this goal through educational presentations, publications and public demonstrations designed to inform individuals, civic leaders and government officials. It consists of five sections that will carry out the objectives of the Project, and is currently being supervised by Project Director Matt Whalen and Legislative Coordinator Tammy Thomas. Each of the five sections will, in turn, be headed by a section chairperson. I will be responsible for coordinating the efforts of the different sections and setting an agenda which will forward the stated purpose of the project, subject, of course, to approval from the ACLU of Oklahoma Executive Director and a five member advisory committee that is currently being established. The Project members would like to take this opportunity to thank all of the people who came out to the Governor’s Mansion on July 17, for the vigil of Terry Lyn Short. 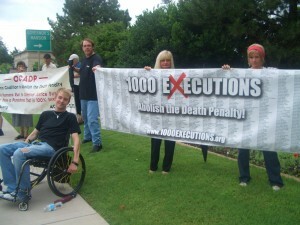 Short was pronounced dead at 6:08 PM that day and was the 170th person executed by the state of Oklahoma. As anti-death penalty activists stood in the rain for over an hour, I realized how passionate many Oklahomans are in their disapproval of state sanctioned homicide. The Project worked with The National ACLU Capital Punishment Project to compose a letter to Governor Brad Henry exhibiting our staunch disapproval of the Short execution. The letter may not have achieved its intended purpose by stopping the execution, but the individuals in this project have made a commitment to not stand idly by. We will continue to do everything we can to abolish this unconstitutional practice. Ideas on how we can accomplish this task would be quite beneficial and are welcomed. 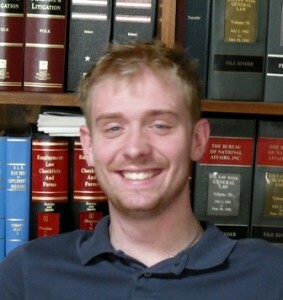 Please send correspondence to Anti-Death Penalty Project Director Matt Whalen by e-mail at mattwhalen1@gmail.com or phone at (405) 524-8511. 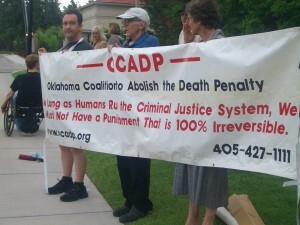 Above: Members of the ACLU-OK and the Oklahoma Coalition to Abolish the Death Penalty hold vigil outside the Governor’s Mansion July 17 for Terry Lyn Short.